Scott Rheuben was born in Sydney, grew up in Lismore and then studied health services management and human resources in Brisbane. He has worked in pubs in London, backpacked with a suitcase around Europe, travelled in a van around Australia with his wife, and is now re-settled on the far north coast with his wife, young son and two dogs. After more than thirty jobs before the age of forty, Scott has finally discovered his place and can truly pursue his passion. 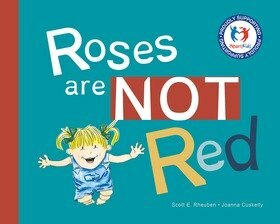 Though his writing has been cultivated behind the scenes for years with poetic verse and a fantasy-adventure novel, he has now found his niche in children’s books with Roses are NOT Red.